Many people today have lost hope in humanity. They feel that the world can never be a place where people dwell together with kindness. Their perspective have been blinded by some inhumane acts people perpetuate. But it is interesting to note there are plenty good acts of kindness carried out every day in today’s world. Some may not be recorded but they never go unnoticed by people. We have painstakingly documented 23 acts of kindness performed by different people all over the world and we hope that it would inspire you to keep showing kindness at all times in other to make the world a better place. While you learn from their kind deeds, may you appreciate people’s kind effort whenever possible. 1. 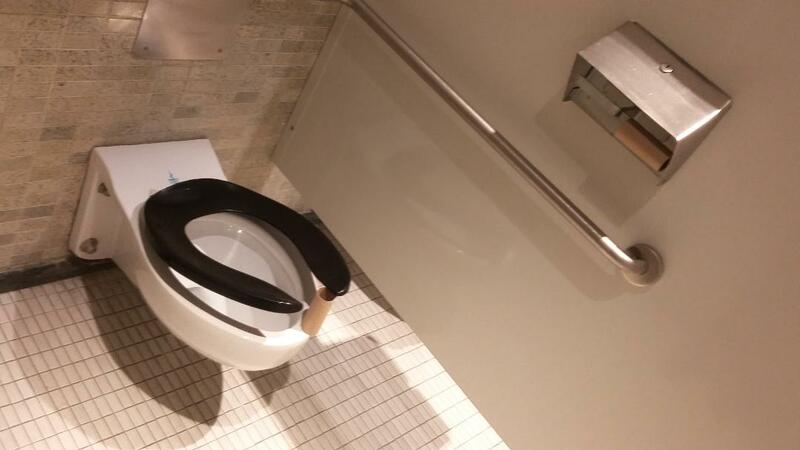 Please, say a very big thank you to this unsung hero for paying it forward. 2. 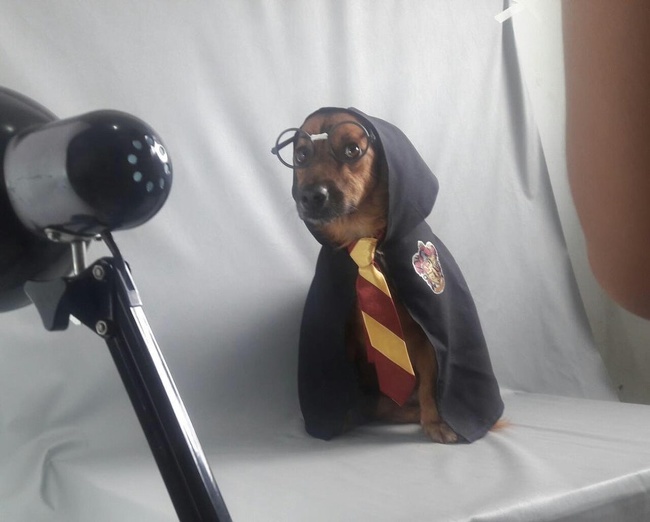 Some dogs are up for adoption and my mum is giving out here time and resources for their photoshoot. 3. 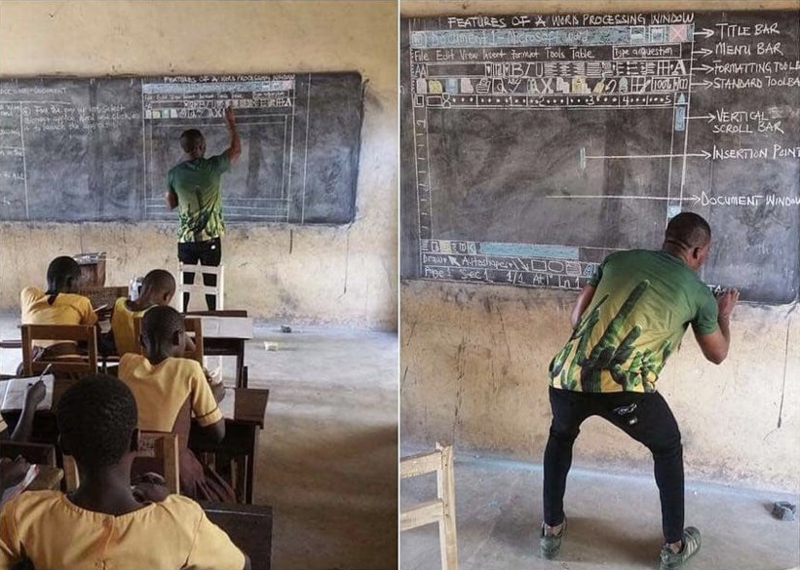 In other to enlighten students in a school where computers are not readily available, this man drew the Microsoft office Outlook format on the chalkboard. He deserves a credit for this. 4. Did he know that his kindness would pay off? This police officer just got an accolade from the man he saved sometime ago. 5. Went to eat a Chinese meal in an Asian restaurant when I saw the waitress displayed an act of patience and kindness. 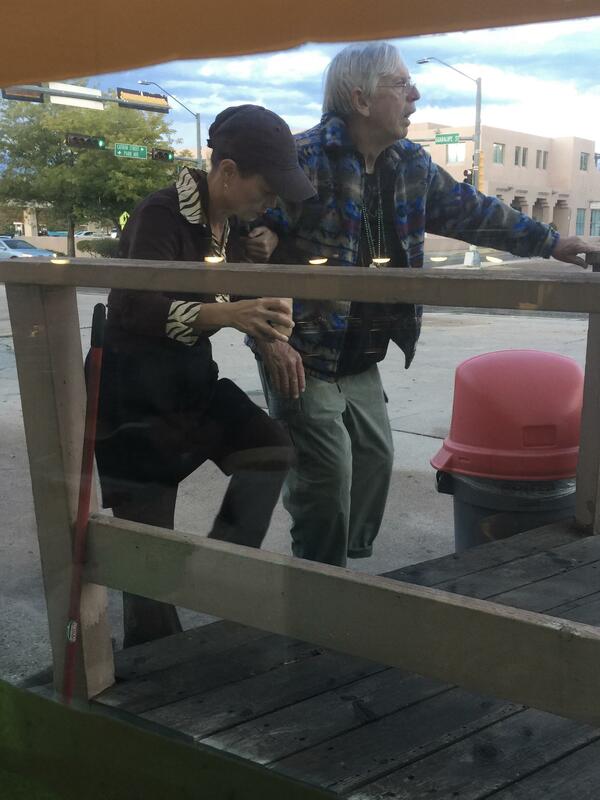 She stopped taking orders from customers to help an old man walk to his seat. Afterwards she brought his order to his table. You still don’t believe in humanity? 6. This thirsty cat was in dire need of water but there was no cup in which it could drink from. 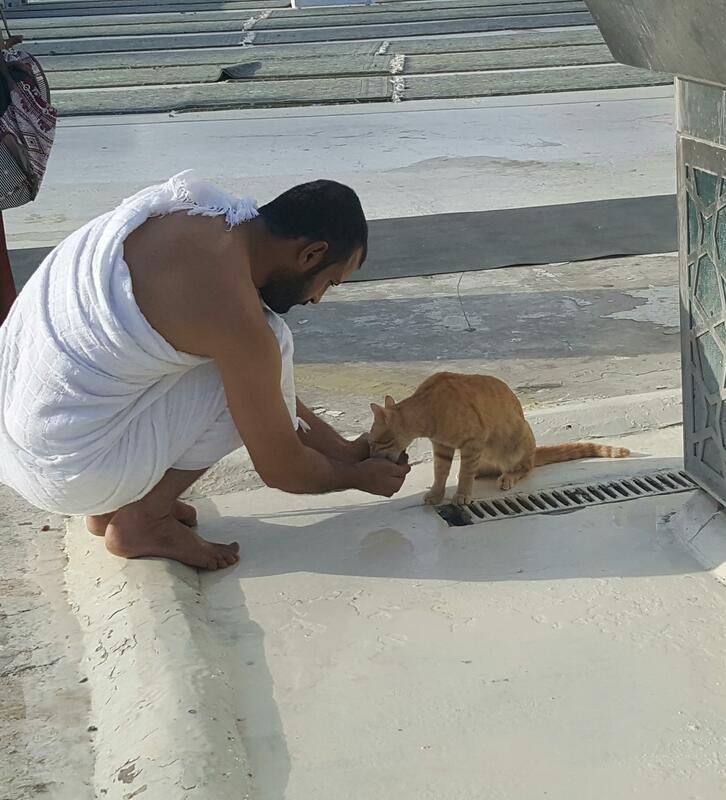 I saw this man lift water from his hands in Mecca so that the cat can have a drink. Kindness can still be extended to even animals. I was touched. 7. 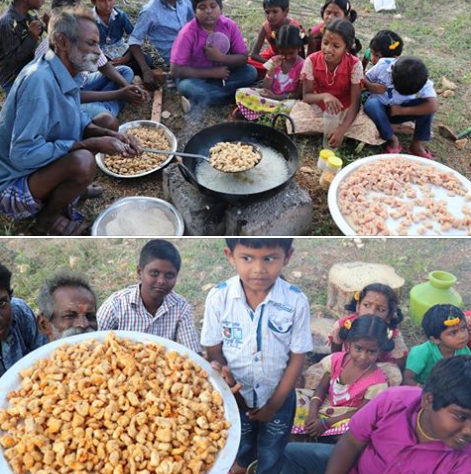 People may not have enough money to buy food so this chef regularly cooks food for them even if they cannot afford to eat at his restaurant. Do you have an idea of how many lives he saves with this deed alone? 8. “Beautiful babysitter of all time”. This little girl here says she has the best babysitter anyone could wish for because of the care and attention being showered on her. 9. 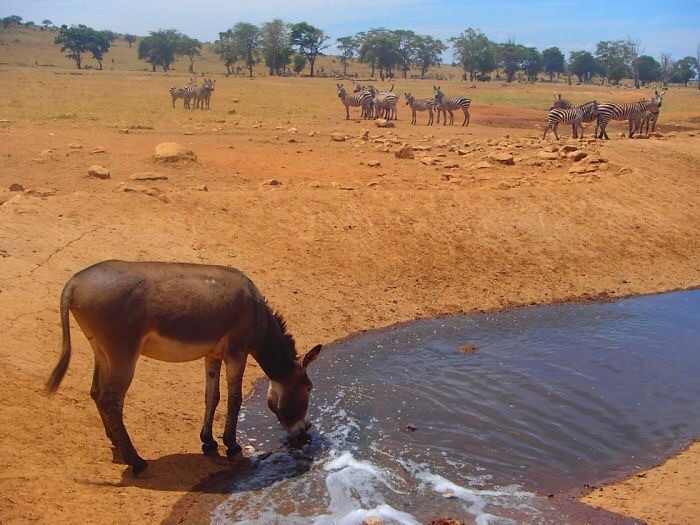 Even wild and dangerous animals shouldn’t be spared from receiving your kind deeds. 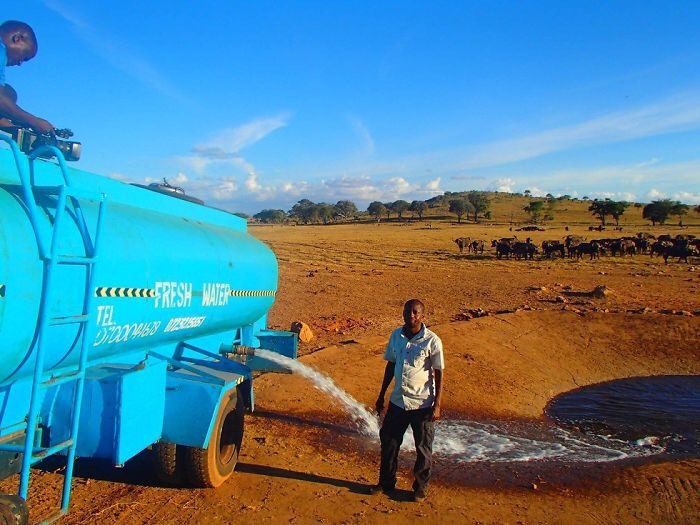 This young and energetic man drives his water truck for hours each day to supply these animals with water in drought condition. I’m sure the animals love him too. 10. Visited a coffee shop to read a book when I saw a young man surfing on the internet. 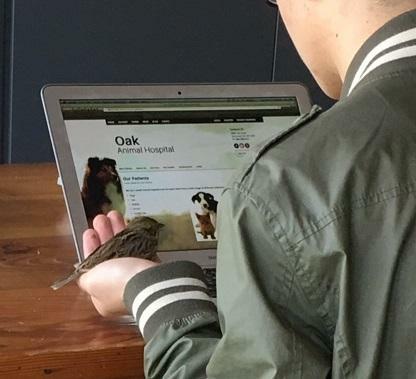 I peeked at his phone’s screen only to find out that he was searching for veterinary services for the injured little sparrow on his hand. I guess sparrows are worth more after all. 11. 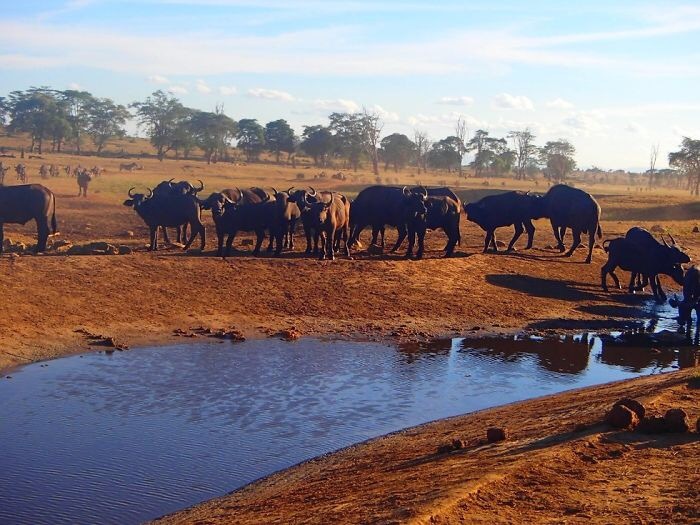 Can you pay for an excursion with a taxi driver to somewhere he hasn’t been before? 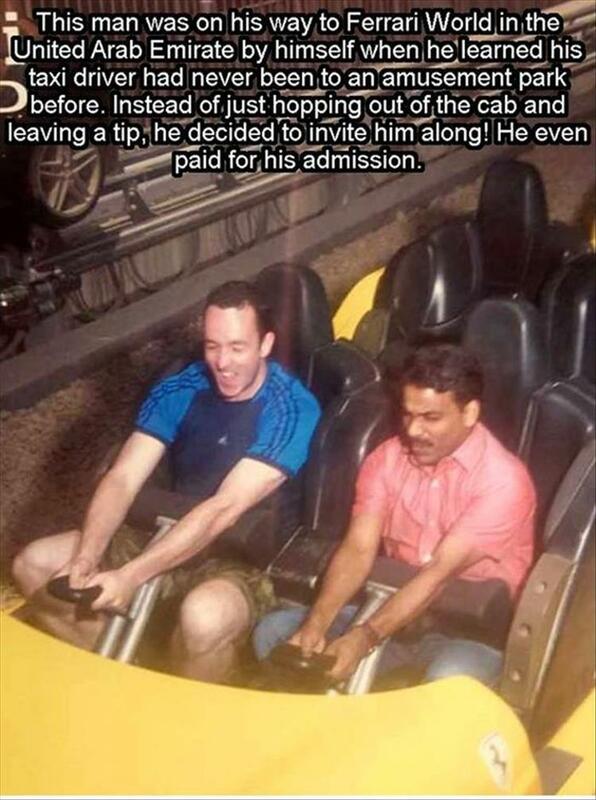 This man just took his taxi driver and paid for all expenses incurred trip to an amusement park for relaxation in town. 12. Some people are suffering from hair loss while others don’t even have hairs at all. 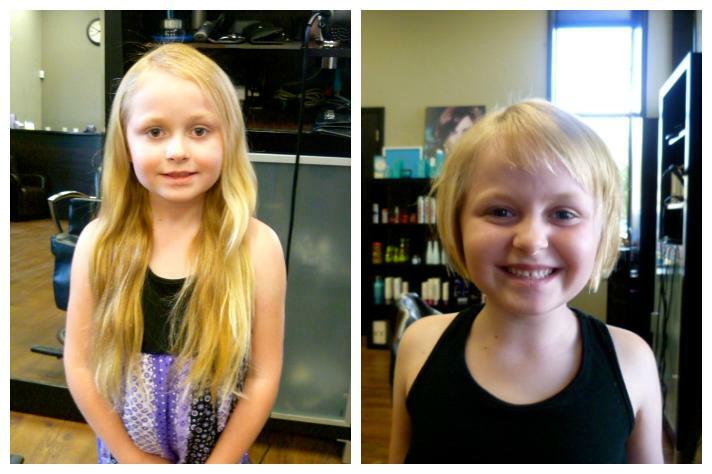 To help these ones, my daughter just cut and donated over 13 inches of her long hair. 13. 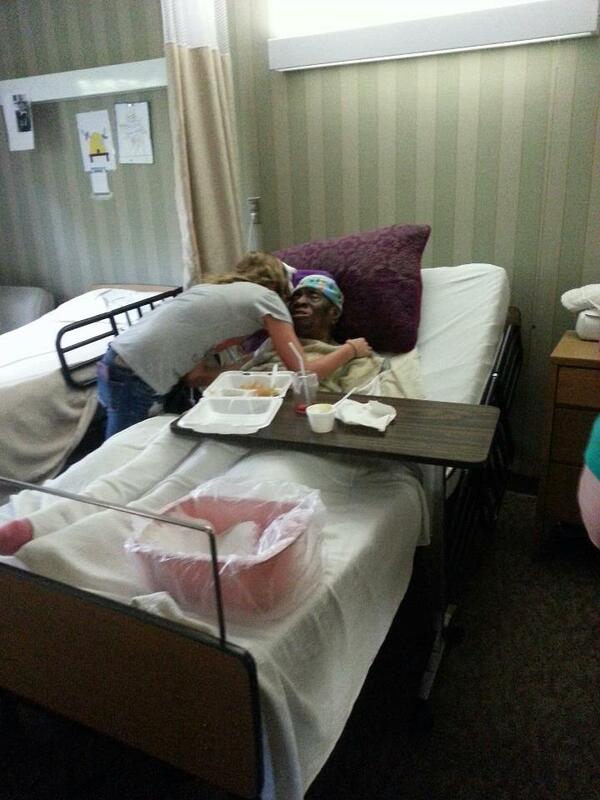 To know true acts of love, you have to meet this young man named Anthony Hughes. 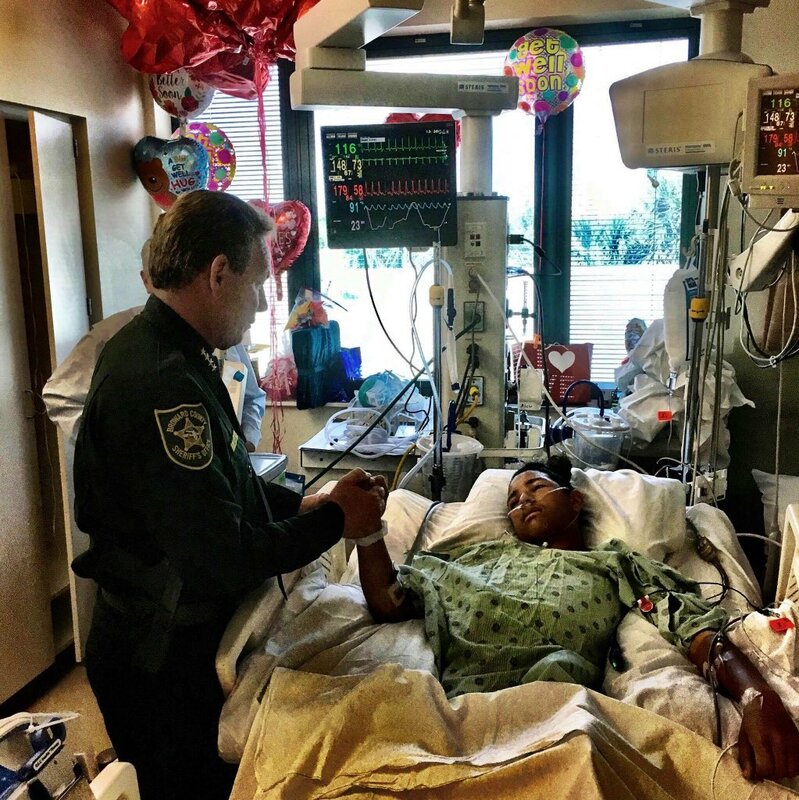 During a recent school shooting, he used his body to support a door and keep it shut thus protecting over 20 students from the bullets of the shooter. He unfortunately got hit five times. 14. This old woman here is Mrs Posey. She is presently 112 years and have had nobody to visit her for 3 years now. But she doesn’t feel lonely and abandoned because this young lady makes and brings cookies to her nursing home thus keeping her company. 15. 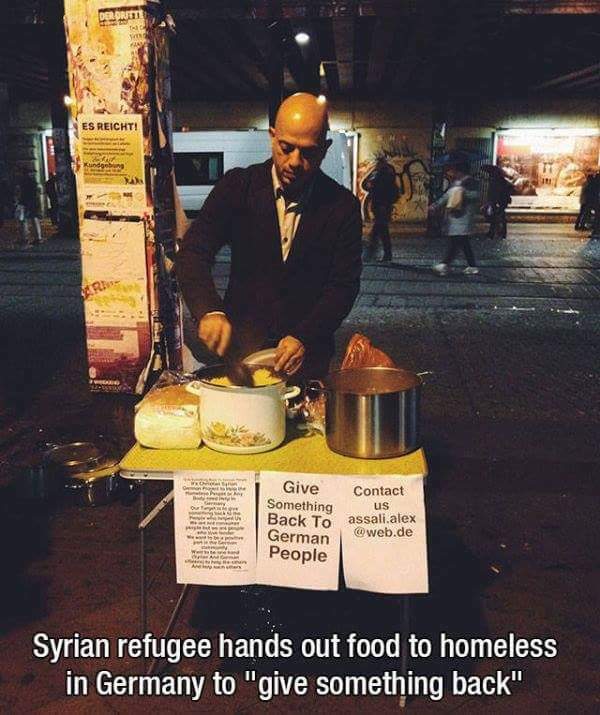 Here is a Syrian refugee putting free food on display for the homeless in Germany as part of the “give something back to Germany” campaign. Even those in need can also show generosity to those in need. 16. 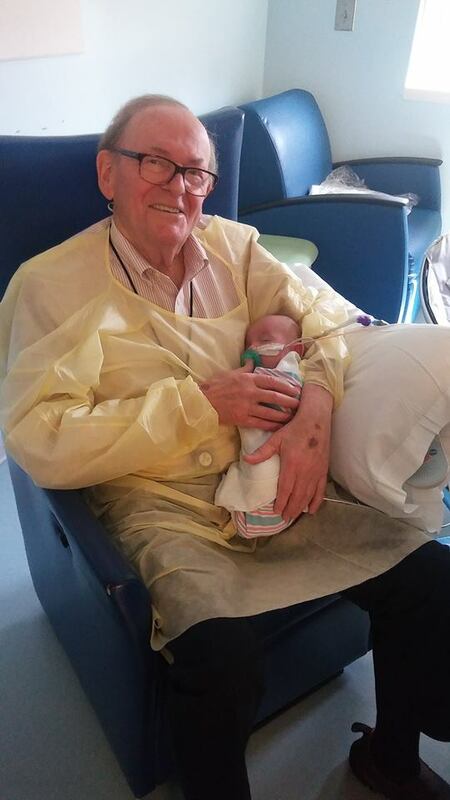 Despite being in intensive care unit, this old man from Atlanta set out time to cuddle babies for the past 12 years. Could it be the reason that he is still hale and in good health? 17. One day when my dad who is a professor was giving lecture in class, his student walked in the classroom with her baby. It was obvious that her babysitter didn’t come that day. 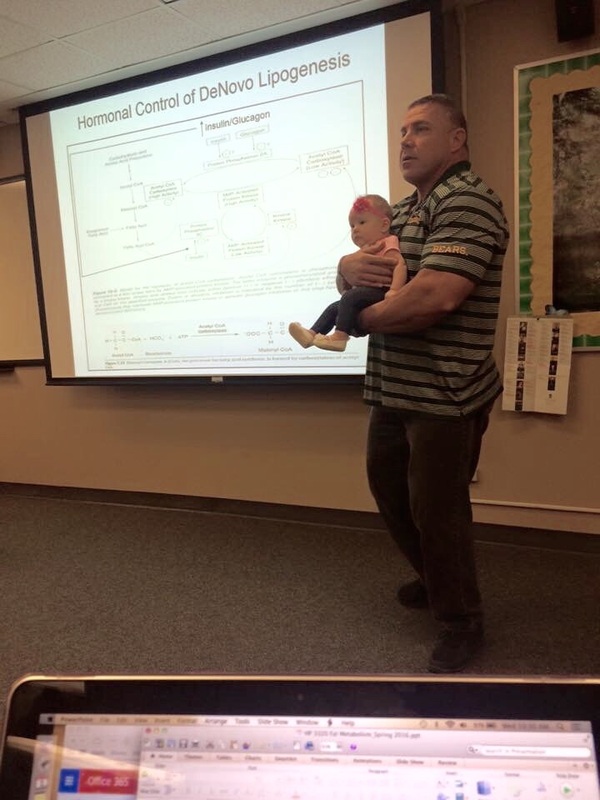 So my dad took care of the baby and allowed her concentrate in class. 18. It could be devastating when you cannot afford the ticket to go watch your favourite celebrity perform on stage. 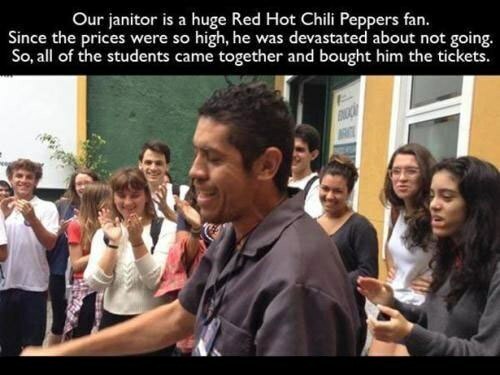 Our Janitor felt bad when he could not buy tickets to attend Red Hot Chili concert so we raised money and bought him the ticket. 19. Poor but still offer community service free of charge! 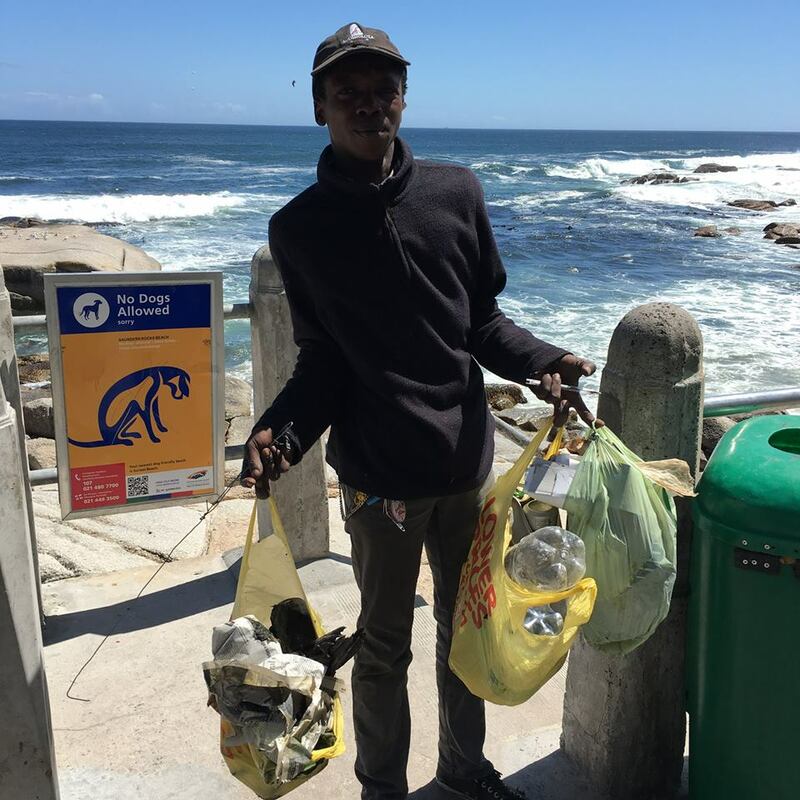 This homeless man gathers refuse along the seashore and still doesn’t request for a pay check. Very impressive! 20. 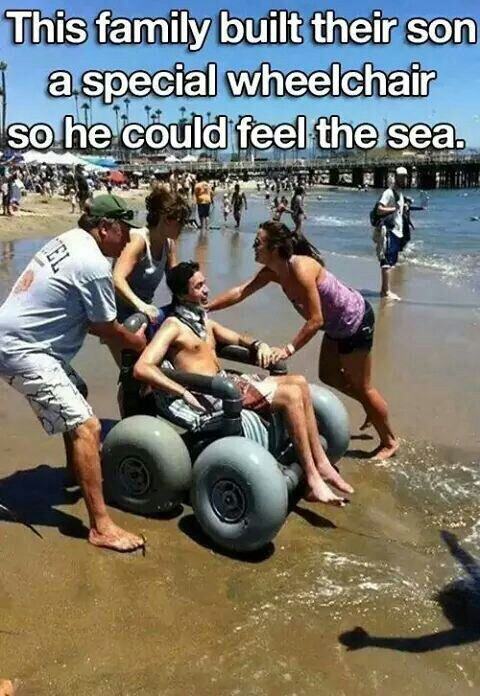 This family wanted their son to have a feel of the sea so they built him a unique wheel chair. The joy on his face shows he is having fun too despite his circumstance. 21. 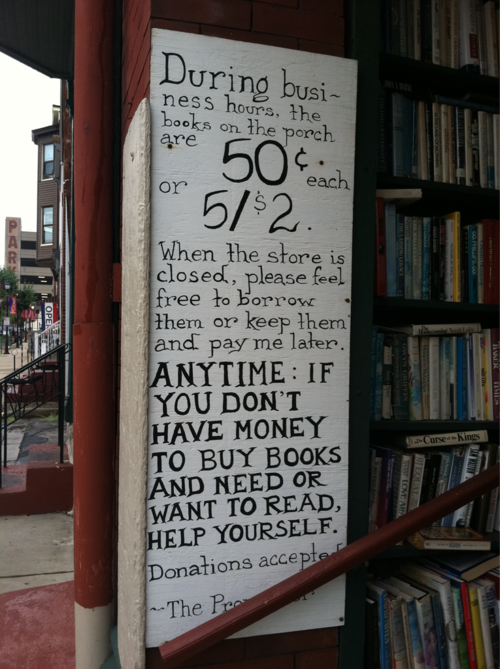 No other words than to describe this book store as being generous. 22. 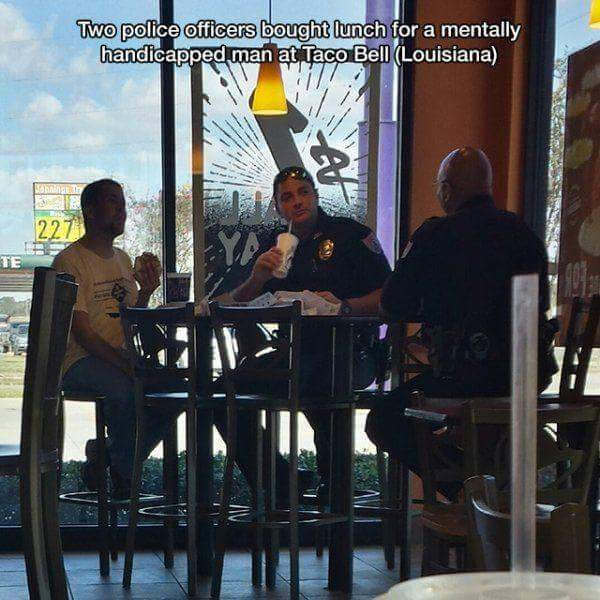 These two police officers are having lunch with a mentally disabled man. The police is truly your friend even when you don’t expect them. 23. 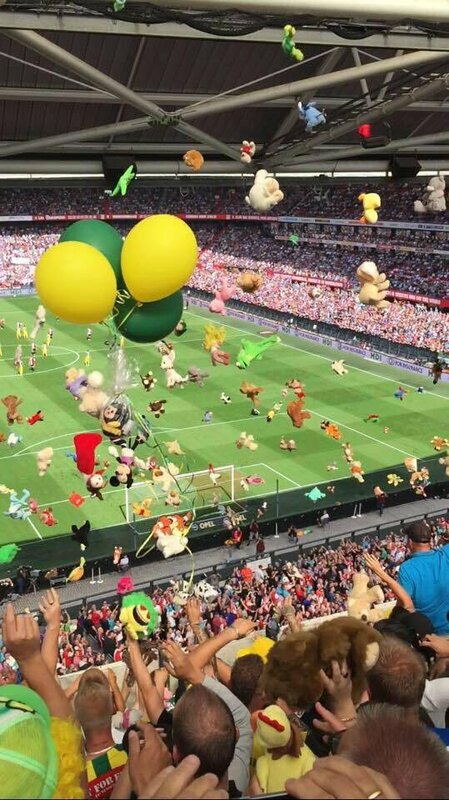 Little patients from a neighbouring hospital came to watch a game empty handed but it seems they would go home with bags full of toys given to them by the local fans in the stadium. 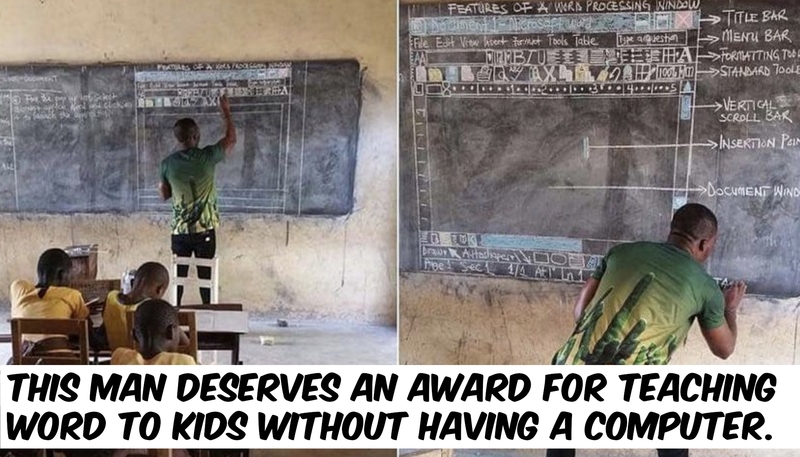 These 23 pictures only summarises the fact that they are a lot of good people out there. Have you gotten in contact with them before? Do well to share your stories with us.